Meetings: Tuesdays at 7pm! Community Dinners held beforehand in the JE Dining Hall at 6pm. Location: Gallery of La Casa Cultural Julia de Burgos on 301 Crown Street or the MEChA Room on the 3rd Floor of La Casa. Events: Check out our Google Calendar for all coming events! 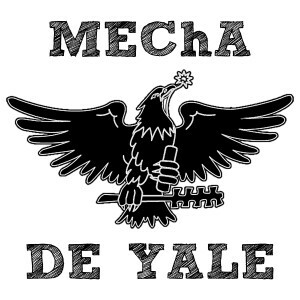 Movimiento Estudiantil Chicano de Aztlán (MEChA) de Yale, established in 1969, is an organization of students of different ethnic and racial backgrounds who have come together in pursuit of social justice, community empowerment and cultural awareness. Read about National MEChA and its origins as the student wing of the Chicanx Movement here. The organization is composed of students on campus who are politically conscious and sensitive to the issues affecting underrepresented peoples of our communities and our nation. We seek to strengthen our ties with the New Haven population through communication and cooperation to stand in solidarity with each other. MEChA de Yale promotes and supports the pursuit of education as a means to achieve self-empowerment. Our social and political activism is a direct response to the problems that affect the Chicanx/Latinx population and other communities of struggle locally, nationally and globally. Read our constitution, and look at our current campaigns!